Because I am a hobbyist weather-watcher, I was aware of Yolanda forming in the South Pacific earlier than most people. Typhoon2K was predicting it to be a significant howler even when it was still in infancy as a low pressure area. When it was reported that PAGASA was due to name the system Yolanda once it entered the Philippine Area of Responsibility, I was horrified! I still carry memories of roofs being torn from off houses in the Air Force base where we lived when I was a small boy by another Super-typhoon which crossed the country back in 1970. The name of that super-typhoon? Yoling. PAGASA retires the names of really destructive typhoons; and I sincerely felt that the agency could have done better than the name Yolanda. Yoling is retired, of course; but everyone knows it to be a local nickname for what else but Yolanda. This is just me being superstitious. Oh by the way, Yoling crossed the country on the 14th of November in 1970. Yolanda, as all of us know, cut a swathe of destruction across the Visayas on the 8th of the same month. There is a 43-year gap between the two killer typhoons, but I still find the timing somewhat creepy. On the other hand, while Yolanda is being referred to as the most powerful typhoon ever to make landfall – at least as far as recorded history is concerned – there is nothing extraordinary at all about its formation and passage. While more weather disturbances spawn and roll across the Western Pacific during the months of June and July, historical data shows that the Philippines is likeliest to take a direct hit during the months of October and November. Moreover, these are also the same months when the country is likeliest to get hit by a Category 5 typhoon. What made Yolanda extraordinary, of course, were gusts of winds as much as 285 kph and possibly even higher when it made its first landfall in the Eastern Visayas. 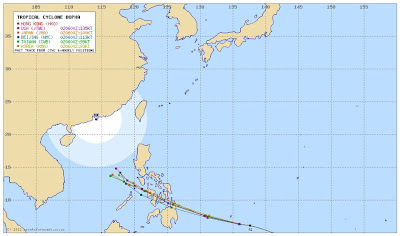 Bopha) as predicted by multiple weather agencies December last year. Almost a year later, it is all but forgotten that another Category 5 typhoon called Pablo – international code name Bopha – was initially forecast to track almost the exact same route that Yolanda took. Pablo – as did Yolanda – spawned a thousand or so kilometres east of the Philippines. Being so far out in open ocean meant that both systems had time to nourish themselves in the warm waters of the Western Pacific to become the killer typhoons that they eventually became. Pablo was initially being forecast to make landfall in Northern Mindanao and then move northwest across the Visayas before exiting somewhere north of Palawan. In other words, almost exactly as Yolanda did last Friday. 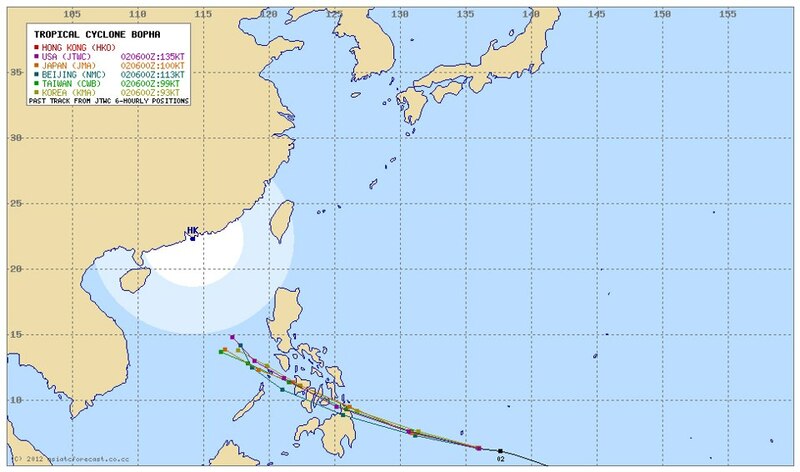 What happened with Pablo was that it suddenly changed direction and started to track due West just as it was about to make landfall; which meant that it was Mindanao that had to take the brunt of its fury. Pablo, however, lost of a lot of steam after making landfall as typhoons do upon encountering land masses. The archipelagic geography of the Visayas meant that Yolanda did not encounter enough land masses to make it lose its strength. 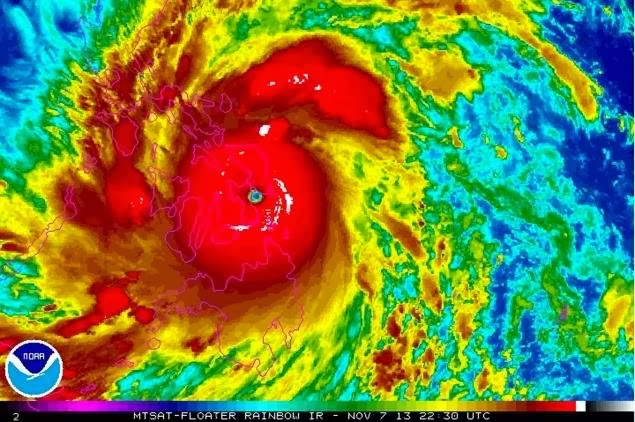 Hence, Yolanda was Category 5 from the time it made its first landfall almost all the way to when it made its last in the Calamian Group of Islands north of Palawan. Initial news reports in the aftermath of Yolanda seemed to indicate that many of the fatalities were actually drowned by storm surge. Korina Sanchez, in an interview with Project NOAH’s Dr. Mahar Lagmay during ABS-CBN’s special coverage of Yolanda yesterday, stated that in her years as a journalist, she had not before encountered this phenomenon called storm surge. In fairness to government, there were indeed warnings about the threat of storm surge even as Yolanda approached. That said, I can fully understand the context of Sanchez’s statement. Storm surge is not an alien concept to me; but having heard of it mostly from CNN weather reports, I had the mistaken notion that this was a phenomenon that accompanied Atlantic hurricanes. That there were so many fatalities because of storm surge was – and this is my own humble hypothesis – because of the failure of local officials to fully appreciate the phenomenon. Vietnam, probably having learned from the Philippine experience, began evacuating citizens to higher ground before the arrival of Yolanda – something that our local officials, perhaps, ought to have done. I hastily clarify that I do not heap blame on local officials. Politicians are not meteorologists. Herein lays the problem. Between the information and the understanding, there is a chasm. This chasm has to be bridged if we are not to see the same calamity rewind over and over as it is bound to happen because the Philippines, whether we like it or not, is right along Typhoon Alley. Storm surge, in layman’s terms, is the surface of the ocean being pushed inland by the winds of a typhoon or hurricane. How much water invades land is also influenced by the contour of the seabed. There were reports of storm surge as high as 5 metres at the height of Yolanda. That is almost 16 feet. Enough said. 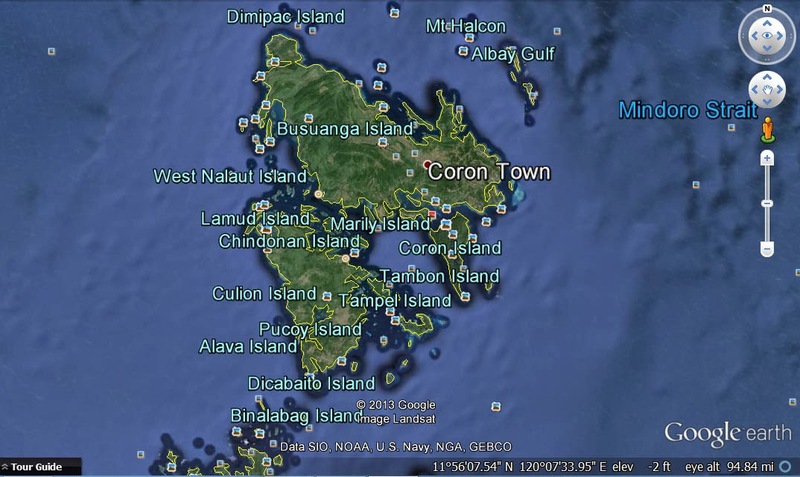 Palawan, roughly 256 kilometres from Lipa estimated by Google Earth. Here in Lipa, we started to get gusts of winds around 7 or so in the evening – I am pretty sure of this because I was watching TV Patrol and the local power cooperative saw fit to cut power supply. At about this time, the eye of Yolanda was approaching the Calamian Group of Islands, roughly 256 kilometres southwest of Lipa. Although the Province of Batangas was under Signal Number 2 – winds up to 100 kph – I do not personally believe that we had gusts that could even justify the outage. God knows the northeasterlies can blow just as briskly during the cold months of the year. What was curious was that there was hardly any rain at all. This was even more curious because my own niece – on Facebook – made a post about winds and rains in Alabang, which was farther away from the eye of Yolanda. I took a look at the Project NOAH and understood why. Yolanda had a fairly broad 600-kilometre circulation; and its outer rain clouds were, indeed, over Metro Manila. By some quirk of nature, despite the gusts of winds, there were only slight drizzles over Lipa – and even these were intermittent. Years from now, I will continue to carry in my head two lasting memories of Yolanda. First, Ted Failon speaking to Noli de Castro over DZMM TeleRadyo and just simply failing to find the right words to describe what it felt like to be caught right smack in the middle of the most vicious typhoon ever to make landfall in recorded history. All through the patched-up conversation, the wind whistling in the background was simply terrifying. Later, a film clip of Atom Araullo almost like a ghost in the blinding rain, describing the typhoon’s fury while roofs and other debris flew all over the place. Either a damn fool or the bravest man in the world, this young man. Not all journalists are worthy of respect; but these two – along with their crews and all the other journalists and their crews who braved Yolanda – not only won respect but gratitude from an entire nation. Bravo! 1. Top photo from http://www.nydailynews.com. 2. 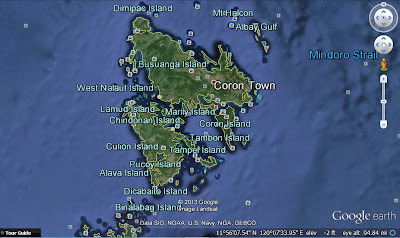 Calamian Group of Islands from Google Earth.